The ceremony took place on Tuesday, January 29, presided by the UB Rector, Dr. Joan Elias. The University of Barcelona awarded, in the same ceremony, the Honorary Doctorate to two distinguished figures of European law: Luigi Ferrajoli, author of the relation between democracy and law, and Luciano Vandelli, first authority on administrative law and territorial organization. 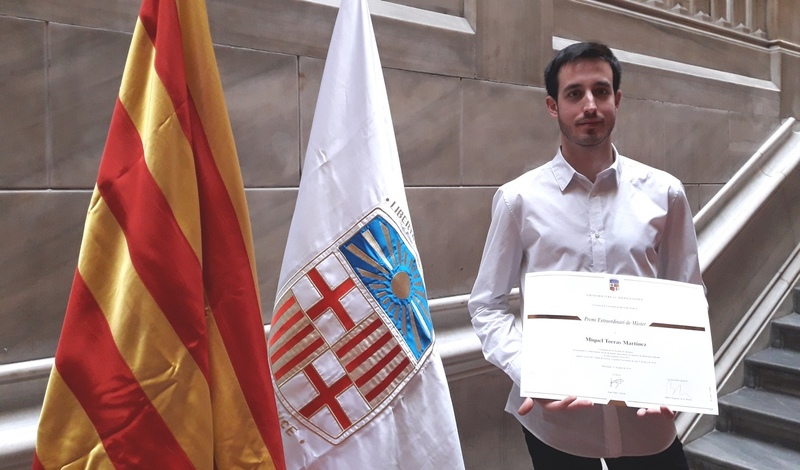 Miquel already received two prizes for his Physics and Chemistry Research Projects, which he did in the same NN group, on 2017.